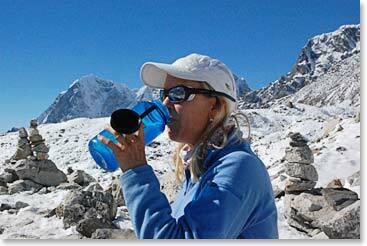 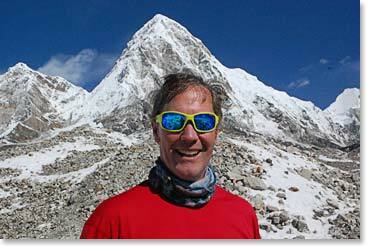 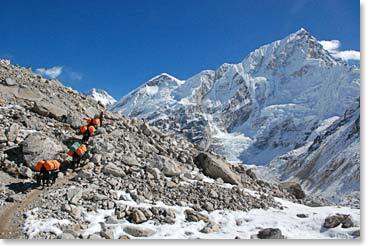 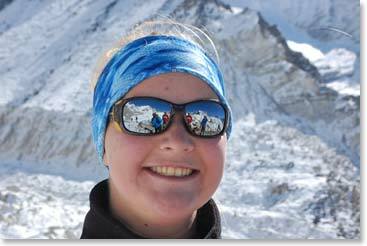 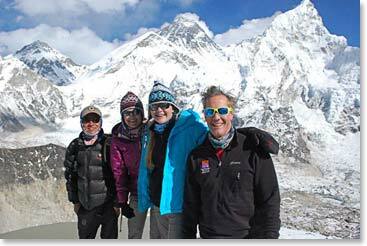 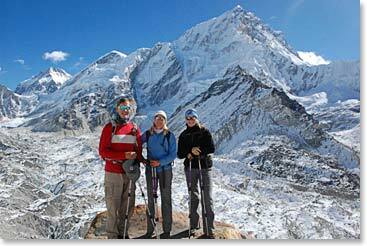 Everest Base Camp Dispatch: November 1, 2013 – We Reach the Summit of Kala Patar! 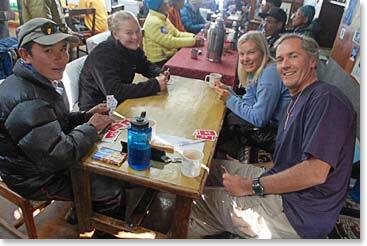 High altitude pastimes, playing cards with Jyeta in the lodge. 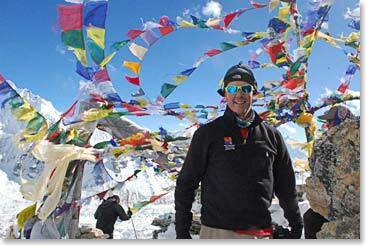 Top of the World feeling! 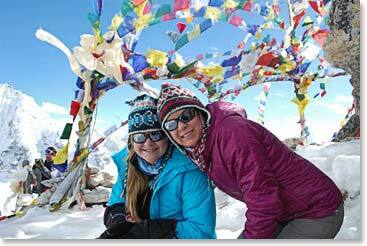 Alyssa and Keely on the summit of Kala Patar, 18,550 feet above sea level! 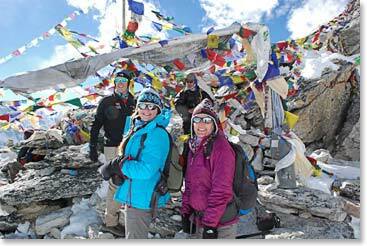 Prayer flags adorn the tip of Kala Patar. 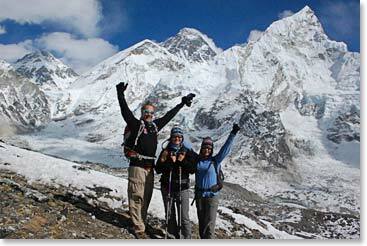 The team stands proudly with Jyeta, Mount Everest behind.